ForwardIT was born after founders - Dom Polegubic, Stephen Seckar and Nick Kallas - spotted an opportunity to provide reliable and local support for small to medium enterprise (SME) businesses across the region. 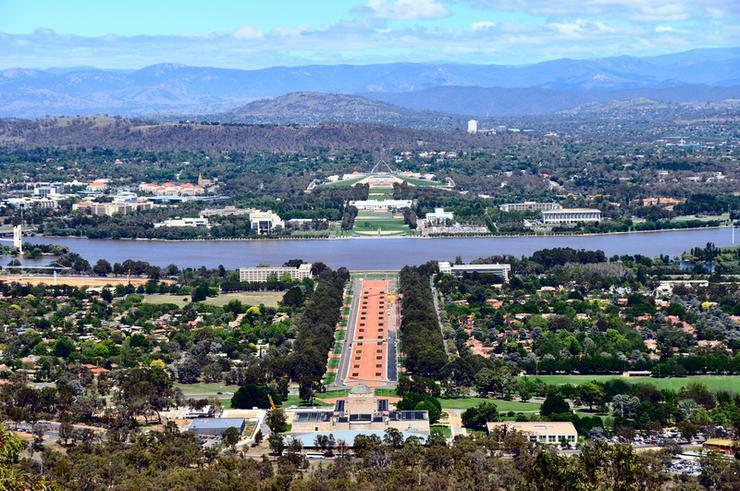 “Having a large physical presence in Canberra and Sydney means we always have technical expertise available to head out on site at short notice,” Polegubic said. “As directors, we still believe in being hands on and customers can (and do) contact us at any time to talk about any issues they face. From a technology perspective, the company specialises in providing end-to-end managed services, alongside network, cloud, security, back-up, storage and VoIP solutions, backed up by internet service provider (ISP) services, project management, consultancy and contracting capabilities. Specific to vendors, ForwardIT partners with Microsoft, Dell EMC and Lenovo, alongside VMware, Cisco and Juniper Networks. “Our number one focus has always been delivering great customer service,” Polegubic said. “It’s one thing I’m always driving home with our team – communication, keep clients in the loop and go the extra mile. Polegubic said the business has also invested in Cyber Security Assessment capabilities, as well as best practice configuration - an area which continues to grow in the local market. Another area of growth has been in the Federal Government sector, with the managed service provider (MSP) a member of multiple preferred supplier panels. Polegubic pointed out such opportunities have been difficult to win in the past however, but recent government efforts have paid out as the sector becomes more open and accessible for SMEs. “The government is starting to realise the value that SMEs can bring to the public sector in terms of efficiencies, innovation and flexibility to scale up and down when needed,” Polegubic added. Common challenges include unfavourable government payment terms for SMEs, competing with multi-nationals and vendors going direct. “Making sure you have the cash flow to cover expenses on big hardware orders can be stressful,” he added. “We have heard talk about the government moving to seven or 14 day terms for SMEs, so this is promising. Looking ahead, Polegubic noted a significant increase in cloud deployments for both corporate and government customers, bolstered by demand for mobility and security solutions. “We are moving our clients away from traditional solutions to hybrid cloud solutions and investing in the right training for our staff and infrastructure for the business particularly security solutions for the mobile workforce,” he added. “A big focus for us is security and government cloud services, we are predicting huge growth in these markets.